If you do client work, having an effective social media marketing team will be one of your top priorities. You have a team of marketers, but you are still spending too much time and effort on every single campaign without getting any real results for your clients. The fear of losing clients gets real. Social media marketing can be powerful if it’s used the right way. Thanks to it, you can bring your clients social traffic, quality leads, and more sales. But, it can also be a waste of time if your marketing team is doing social media management the wrong way. And, if you are not bringing any results to your clients, then you are not only wasting your time but also your clients’ money. To change that, you don’t need to keep hiring new marketing folks. What you need is to improve your team effectiveness. Everyone is not your audience, so hitting every social media user out there is a waste of time. Targeting a specific audience is essential in finding out their needs so you can develop the right offer and successfully bring traffic to your clients. Also, posting time matters as much as to whom you are posting to. Your clients’ audience is not active 24/7. Your job is to find out what time they are active the most and give them the chance to actually see what you post… and engage. Getting social media scheduling tool can be a serious investment but it is well worth investing in. Managing all your clients’ social accounts can be time-consuming and intense. But a social scheduling tool will make all of your social media work much easier and will contribute to effective social media marketing. You can manage multiple social accounts for all of your clients from one place and with just a few clicks. With the help of social media scheduling tool, you don’t have to log into all of your clients’ social accounts. Scheduling tools allow you to connect and post on all of them at the same time, with just a few clicks. Imagine how much time your team would save if you used such a tool. 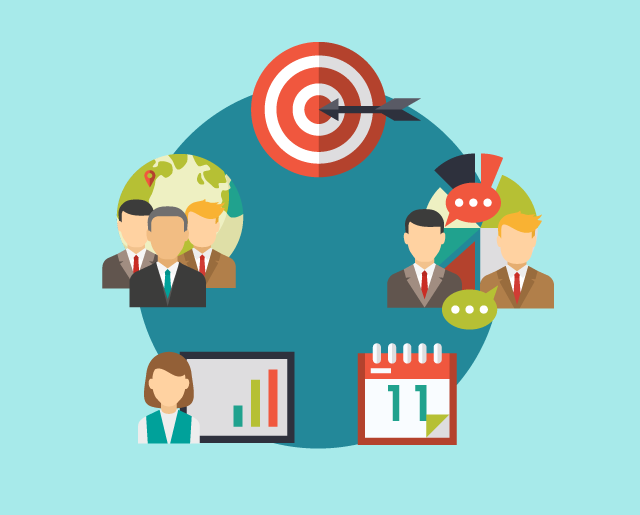 You can create social campaigns that will bring your clients steady traffic. Most of the marketing agencies focus on getting Likes, Shares, and Comments for their clients. And, it is good to have social engagement, but it is much better to get your client a steady flow of social TRAFFIC to their website. Likes, Shares, and Comments don’t pay your bills. Social traffic turns into clients, and clients bring money. With social scheduling tool, you can create effective social media marketing campaigns which will satisfy current clients’ needs. You can schedule social campaigns even months in advance. Social media scheduling tools allow you to plan and schedule posts ahead of time. All you have to do is to pick the date and social platforms to post on, and that’s it! The rest is up to the application to do it for you. You can post content on a regular basis. Marketers know how important it is to post regularly on social media. 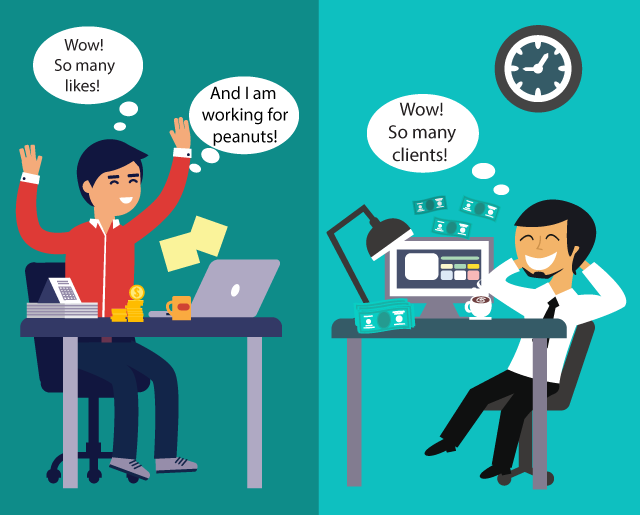 Believe me, it is not easy to manage all that posting for different clients on X numbers of social media… Getting exhausted just by typing that! But this work is essential to keep the audience interested and eventually turn them into clients. And this is where the right tool gets very handy because it automates all that work you would otherwise have to do manually. You can track audience engagement and campaign performance. Scheduling tools usually have built-in analytics that helps you track the progress of the campaigns you run for your clients. Depending on that progress you will know what to improve in the future. Purchasing a social automation tool will help your team stay organized, and it will contribute to effective social media marketing. At this point, you must ask yourself why? Posting frequently is important to keep the audience engaged. But, posting the same content on social media, again and again, is not unique anymore. It is a duplicate content. And people hate seeing duplicate content just like social media platforms and Google do. Duplicate content pushes the audience away. Social scheduling tools can help you avoid that. Thanks to them you can create unique variations of posts with minimal worker involvement. Most of the marketers and marketing agencies that succeed at getting a bunch of likes, shares, and comments, believe they have it all. But they are wrong, and the reason is very simple. Has anyone ever paid their bills with likes, or shares, or comments? No, because they are not currency. They do matter for social engagement, but they should never be the main goal. The main goal is social traffic, since it brings conversion, and conversion means clients and sales. 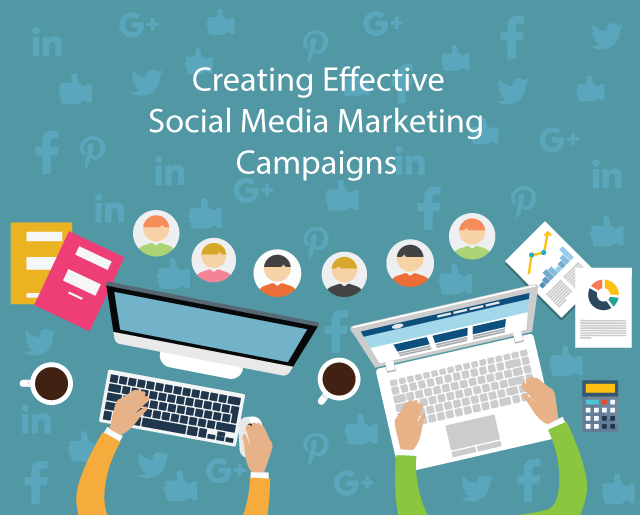 And effective social media marketing campaign is the one that brings a constant stream of traffic even years after launching it. That is why it is crucial to focus on creating good campaigns if you want your business to grow. Analyzing the progress and measuring the results of your campaign is the key thing to do for an effective social media marketing. Thanks to analytics, you can set, change, and improve your expectations, goals, as well as your future campaigns. And, most importantly, tracking analytics makes it possible to grow and improve your social media marketing strategy. Once you master this ability, you will be able to bring better results to your clients and have more clients as well. 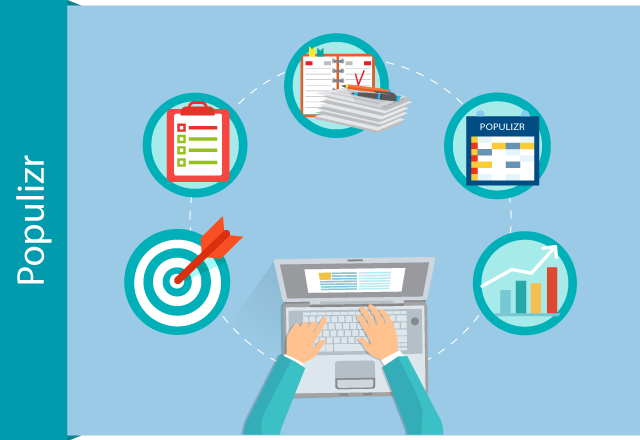 Now, let’s take a look at Populizr scheduling tool and its characteristics. Let’s see how this tool can save your team time, effort, and improve your effectiveness. Creating up to 25 unique social posts from a single blog post. With minimal worker involvement, you get a unique title, meta description, and images. Thanks to this unique Populizr’s feature you can frequently post unique content for your clients. Making social posts emotionally engaging. Populizr has a built-in ‘Sentiment and Emotion Analyzer’ which makes sure you fine-tune your posts to get the right emotional response from the audience. Tracking audience engagement. Populizr allows you to track every click, showing where the engagement happens, or where the audience is located. Reusing the best performing campaigns. With only a few clicks, you can reuse the most successful campaigns to aim for more engagement and social traffic. Managing several accounts from a single dashboard. Thanks to Populizr, you can serve multiple clients with the same team. With Populizr For Agency, you can increase the number of your clients without employing more people. Populizr simply helps you to give your clients a greater value, while saving your team lots of time and effort. Marketing agencies know the power of social media marketing campaigns. But, they often focus on measuring the wrong metrics. Nobody ever got rich by having a bunch of likes, shares, and comments on their social posts because their effect lasts for just a day or two. Your clients hired you to grow their business by increasing their social traffic. And, you can deliver that by doing social media management the right way. 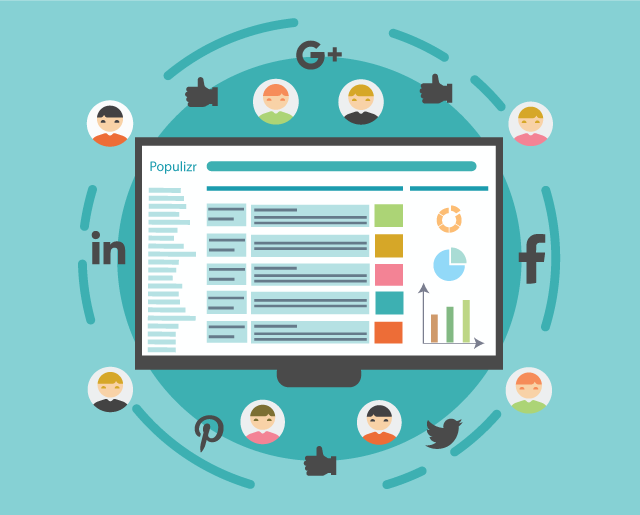 With Populizr Agency, you can create effective social media marketing campaigns and manage your team and all your clients from one dashboard, with just a few clicks, in just a few minutes a day. Using Populizr, you can serve more clients but at the same time bring them greater value. And all that can be done much quicker and easier. Don’t hesitate and get Populizr For Agencies now.